Bethlehem University Foundation is Going on Pilgrimage! ﻿Click here to view and download the full itinerary . 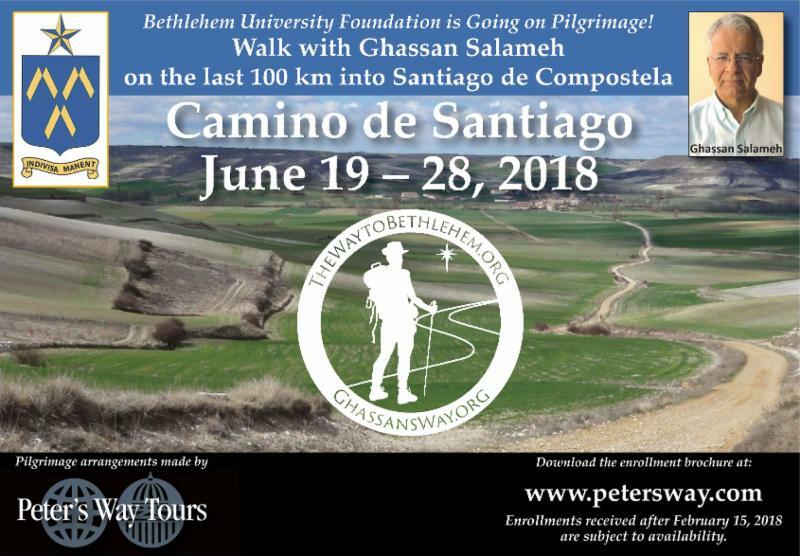 Consider sponsoring a mile of Ghassan Salameh's 500 mile journey by donating here . To learn more about the campaign, click here . Priced from $1,650.00 per person. Eight (8) nights at hotels throughout El Camino. Private coach service throughout the tour. Services of a tour manager from June 20 - 28. Entrance fees and admission to St. James Cathedral, Plaza del Obradoiro, Shrine and Crypt. Peter's Way travel documents, travel wallet, luggage tags, name badge, and soft backpack.